Have you ever felt that, no matter what success technique or self-improvement process you use, you just can't seem to make any significant (life-altering) changes in your life? Your life cannot change beyond your mental (and often unconscious) mind map. Your life can only change (for the better) up to the "borders" of your current mind map. 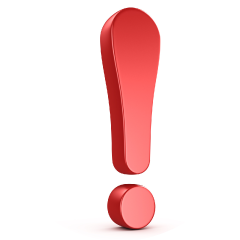 You are currently living well within the confines of your current mental map (i.e., if you are neglecting much of your natural capabilities). You discover how to "extend" or "enlarge" the borders of your mind map (thus giving you more "room" to grow and evolve as an individual and, hence, achieve more in your life). The thing is -- (and this is the problem you are likely rubbing up against) -- is that virtually every self-improvement technique will only work up to the "limits" of your current mental map. And that can be extremely disheartening and frustrating for many people. Possibly (probably!) you included. But again: It's not your fault. It's just that nobody has ever given you the mental tools necessary to extend and enlarge the "borders" of your mental map -- and shown you how to use the necessary mental tools -- so you have the "extra capacity" to do and achieve more of what you want to do in your life. Although, for you, that all changes TODAY. Today, you are going to discover the means by which you can safely and incrementally extend and enlarge the "borders" ("limits") of your mental map so you suddenly have greater inner resources, energy and capabilities available to you to do and achieve the things you really want to be able to do in your life. 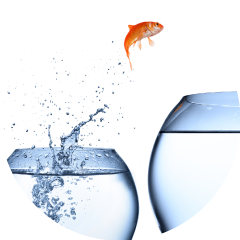 My NEW BEYOND SELF HYPNOSIS PROGRAM will take you w-a-y BEYOND the ordinary limits of what self-hypnosis (or any other success-orientated technique) can provide you with. Imagine for a moment your life is contained within the perimeter of a bucket. Well you can do anything up to the "limits" of the perimeter of the bucket. Then, once you've reached those limits you go round and round the edges of what you're capable of -- but never making any progress BEYOND the perimeter of the bucket. Not even if you use the best success and self-improvement techniques. And your life feels kind of stagnant. And maybe even rather dull and boring. But what if... what if... following on from the bucket analogy... you could suddenly “step out over” the perimeter of the bucket into, say, a play pen. If that were to happen then (in your real life) you would experience a jump in personal evolution and your life-capacity would be "larger" and offer you more. Then... what if... again following on from the analogy... you could consciously (at will) through a series of mental exercises... “step out beyond” the play pen and into, say, a HUGE meadow. If that were to happen then (in your real life) you would once again experience an even bigger jump in personal evolution and your life-capacity would be even "larger" still and offer you even more resources and adventures. Well, your current mental map (and therefore your corresponding "life-limits") are similar to the bucket. And the BEYOND SELF HYPNOSIS PROGRAM provides you the means (the mental tools and processes) by which you can "step out" of the bucket and into the larger play pen, and then "step out" of the play pen into the even larger meadow -- and on and on. Each time enlarging your mind map and your corresponding life-capacity. And each time you expand and enlarge your mind map you are in a sense "stepping into a new reality" of what is possible for you to do and achieve as a person. But my new BEYOND SELF HYPNOSIS PROGRAM can. Think of your computer. Like maybe the computer you are reading this message on. Well computers work with the "language" of binary code (binary code is made up entirely of ones and zeros). That binary code will make no sense to you. But the computer can interpret binary code and "translates" it into the image or text on your computer screen so that you (as a human) understand it. The BEYOND SELF HYPNOSIS PROGRAM gives you the mental tools (AKA: "operational language" of your unconscious mind) to make new connections in your brain and subsequently UPGRADE you "brain architecture" -- and that "translates" as you BYPASS the limits you are currently experiencing in your daily living and actions. I will tell you a little more about the advanced and life-transforming mental tools and processes that the BEYOND SELF HYPNOSIS PROGRAM will give you in a moment. But first I think it would be good for you to get an idea of how people have already been able to make real life breakthroughs using some of the mental tools and processes that the BEYOND SELF HYPNOSIS PROGRAM will give you. A lady psychiatrist (and keen artist) I taught some BEYOND SELF HYPNOSIS exercises to wanted to learn how to draw proficiently with her LEFT hand (she was right handed). Well, after doing some BEYOND SELF HYPNOSIS exercises, and without any apparent effort (she just let her left hand "go") she drew a FULL PORTRAIT with just her left hand. Another guy wanted to learn how to do some martial art moves. I spent just 45 minutes demonstrating the moves to him (that was the only physical training we did together). 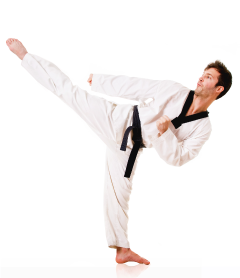 He then went away and did some BEYOND SELF HYPNOSIS exercises I gave him to "internalize" and "own" the skill of being able to perform the martial arts moves with "fight-ending" precision at a moment’s notice. Just like the character Jason Bourne in the movie "Bourne Identity" he just AUTOMATICALLY knew what punches and kicks to throw with blistering speed. 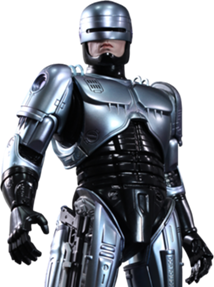 And within just a few seconds he'd broken the thug's knee and three of his ribs. And my student told me he was as calm as a monk when it all happened. Two other students I taught some of my BEYOND SELF HYPNOSIS exercises to had struggled (for over 10-years) with music related issues. One student wanted to play the guitar AND sing at the same time. The other student wanted to hold the beat better while beat-boxing (beat-boxing is using your mouth to make "techno-like" sounds to the rhythm of the beat). In that case I ran through the BEYOND SELF HYPNOSIS exercises with them. And there were a lot of interruptions within that hour I spent with them. Nevertheless, within just that ONE HOUR period both students were able to acquire the skill that had alluded them for over 10-years (student 1 learnt to sing while playing guitar; and student 2 learnt how to beat-box while holding the rhythm of the music). That's why a famous football legend (turned coach) in Sydney Australia said that in his entire time as a pro-athlete and later as an athletic coach he has never seen ANYTHING as powerful and as fast at unleashing peoples full potential as the BEYOND SELF HYPNOSIS exercises I had shared with him. A colleague of mine was getting a migraine while we were setting up the stage lighting for one of my seminars. I'd already taught him the BEYOND SELF HYPNOSIS exercises - so in this case I just needed to remind him to use the skills. And not only did the onset of his migraine depart -- his sensitivity to the bright lights (which were causing the onset of his migraine) vanished too. Another student I shared a BEYOND SELF HYPNOSIS exercise with used it to clear up and heal some deep-seated inner-wounds from a past relationship. He cleared up the old hurt quickly enough. 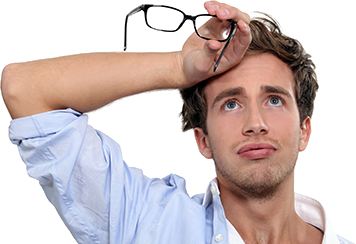 But he also got an extra “unexpected result” – the next day after doing the BEYOND SELF HYPNOSIS exercise: two long standing moles fell off his back. (Coincidence? Maybe – but emotional blocks often show up as physical ailments). Now, the particulars of each case study are different. And your interests and personal goals will, undoubtedly be unique to you. So you once again get to experience the "buzz" of feeling fully alive more often than you're used to. Life becomes a continual adventure again. Where you can continuously “scuba-dive” the depths of your unconscious -- make new mental maps -- and thereby expand the horizons ("outer-limits") of your life-capacity. 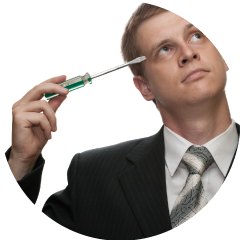 Stable Mentalizations (instead of normal self-hypnosis visualizations) – Mentalizations include all 5 senses and are much easier to hold than traditional visualizations. Not only that, traditional visualizations can actually BLOCK the unconscious from responding fully. And where visualizations tend to veer toward fantasies in the mind that get ignored by the unconscious – mentalizations NEVER get ignored by the your unconscious. Mindfulness Exercises – these exercises are essential in order to give you a better “coping mechanism” for accessing the DEEPEST parts of your unconscious. Until now these DEEPER parts of your unconscious have protected you from accessing them. So the Mindfulness Exercises build the “mental muscles” (your GABA fibers than connect your prefrontal cortex with your Amygdala) that need to be strong enough for you to cope with navigating the DEEPEST parts of your unconscious mind. Neighborhood Tour Exercise (and a transitional version of the exercise) -- where you can safely allow your deep unconscious content (including fears) to come up and safely interact with them for resolution. Strange New World Exercise -- which allows you to create a fictional environment in your mind that will allow useful archetypal symbols to emerge for “tailor made” use in YOUR personal Mentalizations and Goal Setting Exercises. The Teleportation Exercise -- which you can use to take yourself out of a bad place mentally (I used this exercise when I went to a doctor with a bite wound of a spider in Paraguay and the doctor didn't seem to know what to make of it. I could of panicked (and I did at first), but I used the Teleportation exercise to regain calmness and experienced an overwhelming feeling of hope that it would all be okay). The Goal Mentalization Exercise -- this is a superior goal setting technique than you will have experienced before; the Goal Mentalization makes it feel like your goals are finding you. Pyramid Breathing Exercise -- if you can meditate for a couple of minutes you can do Pyramid Breathing to artificially stabalize attention and extend your meditation very effortlessly to 15 or even 30 minutes and get the brain building benefits from that. 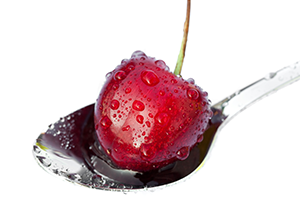 And the "cherry on the top"? Once you've used the BEYOND SELF HYPNOSIS PROGRAM to make new mental maps in your unconscious -- then ALL THE OTHER self-improvement techniques (like self-hypnosis) automatically (by default) become much more powerful and transformative for you. You will have "grown as a person" -- giving other success techniques (like regular self-hypnosis) the scope to work fully for you. The BEYOND SELF HYPNOSIS PROGRAM is like giving a Ferrari (your mind!) a race track to go full speed on! You don't need to hire me personally (at great cost) to show you how to do the BEYOND SELF HYPNOSIS exercises. All you need to learn and then experience using my BEYOND SELF HYPNOSIS exercises is this ground-breaking program! And you can get INSTANT ACCESS to the program right now. 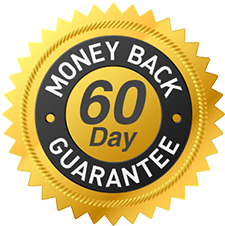 Of course, you are covered by our 60-day guarantee - so if at any time in the next 60-days of going through the program you do not feel it is for you, simply let us know and you will receive a full refund. So I recommend clicking the "ADD TO CART" button right away if you want to have the mental exercises in the BEYOND SELF HYPNOSIS program to expand the limits of your mental map so you "live a bigger life". Two of the mental exercises you will be learning from the BEYOND SELF HYPNOSIS Program are the Inner Practice Room and the DTI processes – designed to accelerate your learning capacity. Well, listen: I recently showed 2 clients how to use those two processes to acquire a skill that had failed them for the last 2 years. What happened after going through the Inner Practice Room and the DTI processes with me? Both clients were able to acquire the level of skill needed in just under one hour. In fact, one client said he developed his skill more in under an hour working with me than he had in the last 2 years of trying to develop the skill himself! 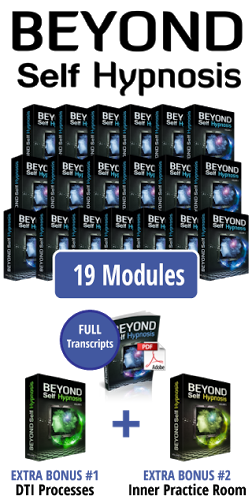 And you can have a FREE copy of the NEW "Accelerated Learning & Rapid Mastery" Bonus Audios when you get the BEYOND SELF HYPNOSIS program today. These trainings will be delivered to you in your private member’s area. I’m extremely happy with the course, I think it was a lot more than I thought it was going to be. I wouldn’t want to live life without these skills. He’s giving us a lot of tools to be able to make a big transformation. Wow! It’s mind blowing. Believe me, I just love it. You can start mastering the skills in the comfort and safety of your own home. I’m developing a photographic memory… I know that if I can continue the training, the way my memory will expand will be incredible. 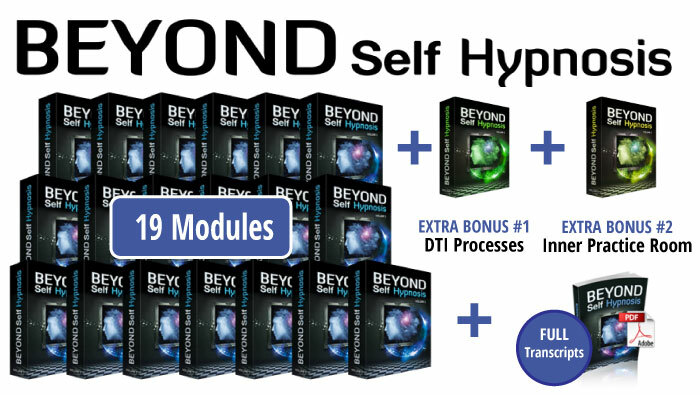 I’ll get INSTANT ACCESS to all 19 modules of this ground-breaking beyond self-hypnosis training. The entire training will be delivered in my member’s area which I can either stream online or download to my desktop, laptop, tablet or smartphone. 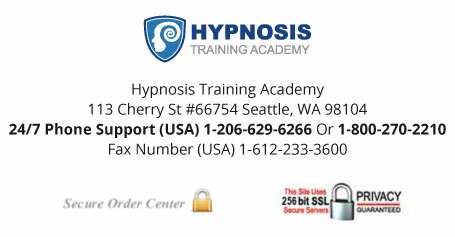 I’ll also receive FULL Transcripts of the Beyond Self Hypnosis program. 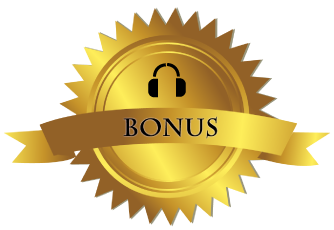 2 Extra Bonuses: Plus I’ll also get the 2 bonus recordings of the NEW "Accelerated Learning & Rapid Mastery of Skills" coaching training. Based on the above, I am clicking below and adding this to my cart. Servers Are Secure Using 256-Bit Encryption!